Marie V. Phelan practices in the area of public finance. She is bond counsel to the University of Connecticut, the South Central Connecticut Regional Water Authority, the Connecticut Innovations, Incorporated, the Connecticut Health and Educational Facilities Authority and several municipalities in Connecticut. 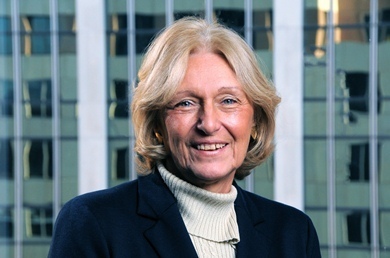 She has been bond counsel or issuer’s counsel to a number of housing authorities and is special counsel to the Connecticut Housing Finance Authority. In addition, she has represented numerous underwriters, trustees and borrowers in connection with the issuance of general obligation and revenue bonds. Marie has extensive experience with general obligation and revenue financing, clean water fund financings, pension financing, lease financings and the issuance of certificates of participation. She has worked with distressed municipalities and drafted legislation in connection with multiple municipal finance issues.